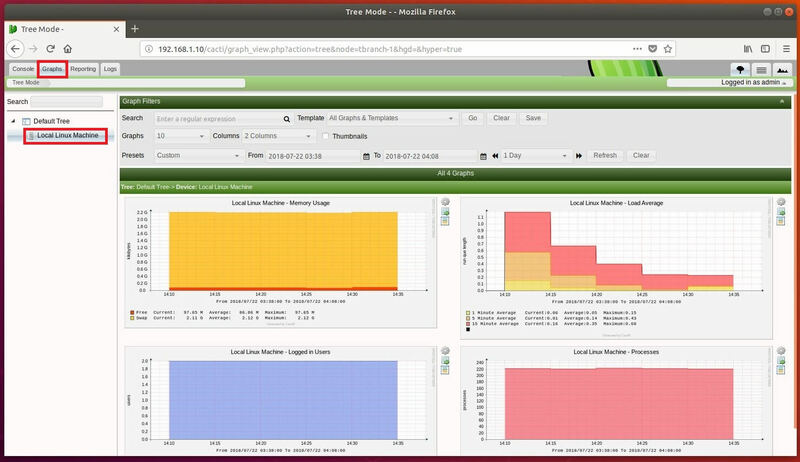 Cacti is a free and open source web-based network monitoring tool designed as the front end application for the Round-Robin database tool (RRDtool). It allows users to poll the services at an interval of time and resulting in the graph format. Cacti, in general, it is used to get a graph of CPU and network bandwidth utilization and monitors the network traffic by polling a router or switch over the SNMP protocol. 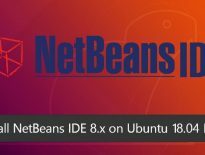 Here is the post on how to install Cacti on Ubuntu 18.04. Log in as the root user or switch to the root user. Update the repository index using the apt command. Cacti run on top of AMP server. So, install Apache, MySQL and PHP packages on your machine. Additionally, you would need to install a few PHP extensions for the proper functioning of Cacti. Also, install the SNMP and RRDtool on the server in case you want to monitor the Cacti server as well. Create a database for Cacti. You can log in to MariaDB server without the MySQL root password by running sudo mysql -u root -p or mysql -u root -p command as root in Ubuntu 18.04. 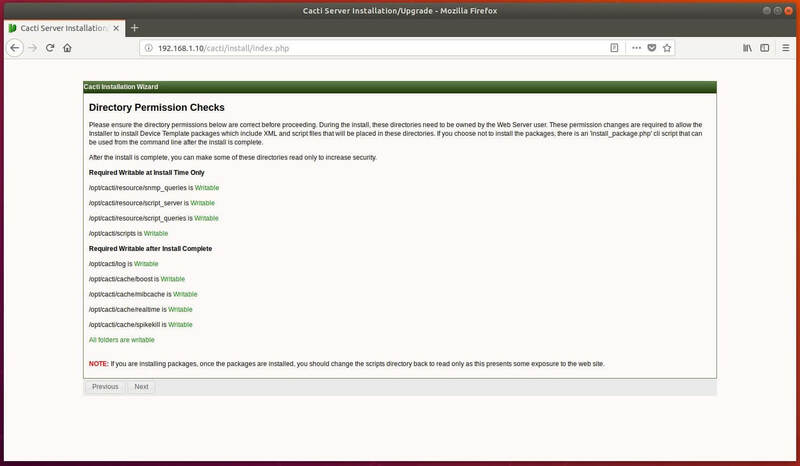 Now, create a database for Cacti installation. Grant permission to the newly created database. The newly created database user (cactiuser) should have access to the mysql.time_zone_name Table. To do that, import the mysql_test_data_timezone.sql to mysql database. Then, log in to MySQL. Grant the permission to cactiuser. Cacti recommend changing MySQL few settings for better performances. So, edit the configuration file. Add the below variables in [mysqld] section. As a mandatory requirement, we need to set the timezone in the PHP configuration file. So, edit the php.ini file depending on your PHP version. Update your timezone, shown like below. 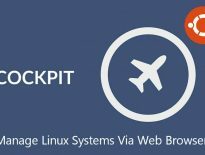 Download the latest version of Cacti package using wget command. Extract the Cacti archive using the tar command and move the extracted files to /opt directory. 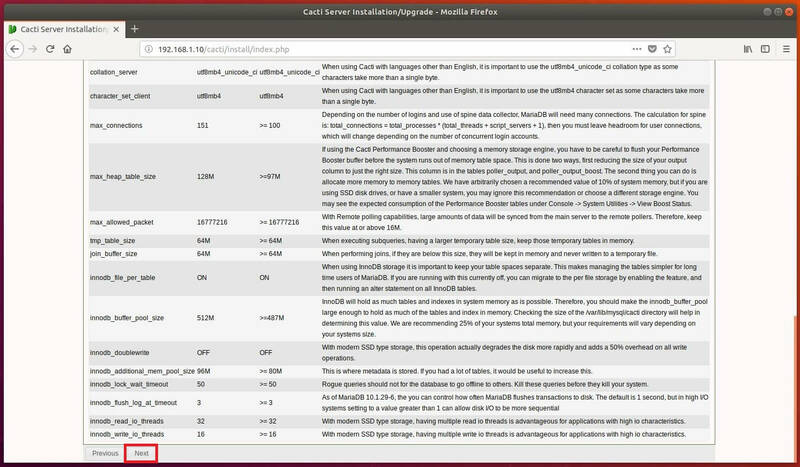 Import the default Cacti database data to the Cacti database. Edit the Cacti config file to specify the database type, database name, MySQL hostname, user, and password information. Add the following entry in the crontab so that Cacti can poll every five min. Edit the Apache configuration file to perform the remote installation. Enable the created virtual host. Restart MariaDB and Apache2 services. Create a log file and allow the Apache user (www-data) to write a data on to Cacti directory. Visit the following URL to begin the installation of Cacti. Accept the Cacti license agreement and click on Next to continue. Cacti perform pre-installation checks and reports any issues on this page. Select New Primary Server as an installation type for the new installation and then click Next. It will show you here if there is any package is missing which is mandatory for the cacti. You can ignore the error for Spine binary file location as we are using the built-in poller for remote device polling. Now, Cacti installation wizard checks and reports for permission problems you may have in the Cacti installation directories. 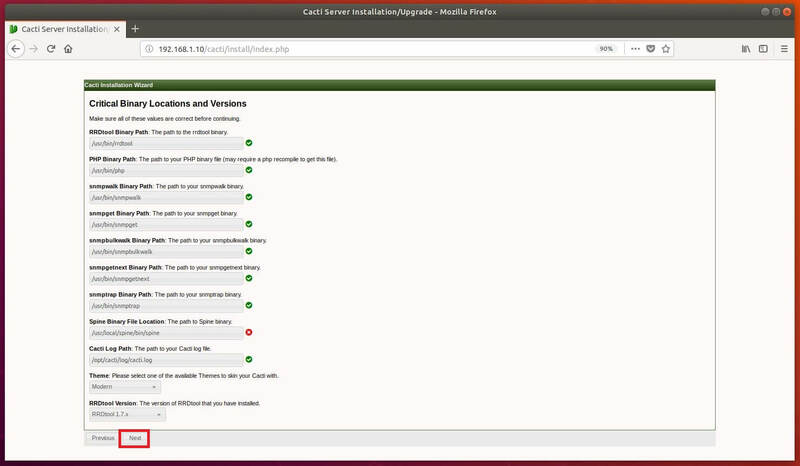 Select all templates or the one you want and click Finish to complete the installation of Cacti. Enter User Name and Password to login to Cacti. You must change the password of the Cacti admin user on its first login. By default, the Local machine will be added for monitoring in Cacti. You can Go to Graphs >> Default Tree >> Local Linux Machine to see the usage graph of Cacti server. 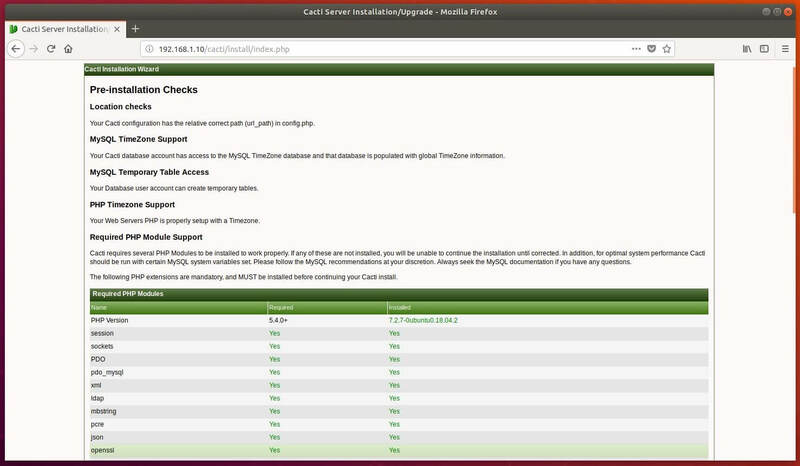 Additionally, read how to configure Cacti to monitor remote Linux machines.